Home :: Vocational training is working! 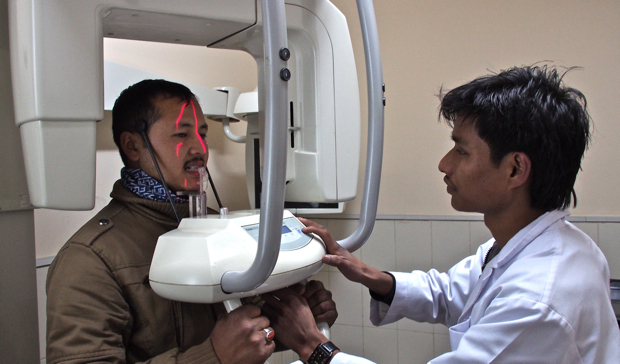 Nearly half of all Nepalis are unemployed, even those with college degrees. Yet workers like plumbers and electricians are often recruited from neighboring countries because most young people in Nepal lack training in these and other skilled jobs. Unfortunately, vocational counseling and training is severely lacking in Nepal, and without this kind of support many young people languish in unemployment and poverty. But our Vocational Education and Career Counseling Program (VECC) is helping to change that. VECC has trained hundreds of electricians, plumbers, hairdressers, computer technicians, midwives, auto-mechanics and cooks since the program began in 2007 — and more than 80% of our graduates are now employed. Amrita will begin a career as an electrical engineer after she completes her training at Balaju Technical School in Kathmandu. The 15-year-old passed the challenging School Leaving Certificate (SLC) exam, required of all Nepali students to graduate from high school, and won a coveted spot in the vocational program. Amrita entered her training with an eagerness to learn and a big dream — she wants to solve Nepal’s chronic power shortage by building more hydro-electric power systems. Last year, we provided career counseling services to 1,200 young people and enrolled 475 youth in both short and long-term training programs. Before starting any course of training, students take a series of interest and aptitude assessments. VECC staff work with each student to help them decide whether to pursue higher education or vocational training for a particular career path. Our staff has conducted extensive research throughout Nepal to identify vocational courses that provide high quality training and have proven success in placing young people in satisfying jobs. VECC staff then identify the best training program for each student’s chosen field, pays for the cost of training, and helps them to find jobs. In some cases, VECC provides graduates with support for starting a small business of their own. Asmita was sent away from her family and spent five years of her childhood working as a Kamlari indentured servant before NYF rescued her in 2004. After high school, we sponsored Asmita in an agricultural training program, and then she started her own farm with a loan from the freed Kamlari business co-op. Now Asmita tills the fields with her family by her side. She’s also trained 40 other former Kamlari in farming to help ensure their independence. Renu learned a trade and is studying for a college degree while she works. Smart and hardworking, she received an NYF scholarship and finished high school, passing the SLC exam. 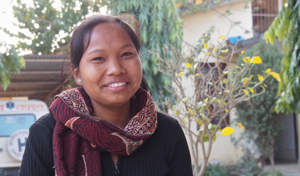 Renu then completed the 18-month Auxiliary Nurse Midwife training program. Now she earns 15,000 rupees ($150) a month (good money in this impoverished country) helping to deliver babies at a small clinic in Western Nepal. But Renu still has larger ambitions, and so she continues in college working towards a bachelor’s degree. Thanks in large part to the generosity of our NYF supporters, the VECC program is proving to be a highly effective means of putting impoverished youth on a track for life-long success. Read about our Vocation Education and Career Counseling program.